LIFETIME POWER TRAIN WARRANTY ON THIS 2014 FORD EXPEDITION KING RANCH EDITON. How's that for Peace of Mind, and what's it worth? Boyles Auto Sales is the Home of The LIFETIME ENGINE AND TRANSMISSION WARRANTY, and is selling a Brand New Looking and Driving 2014 EXPEDITION KING RANCH with a 6 Disc CD Changer, Leather Heated and Cooled Seats, Power Seats, 2nd Row Headrest DVD, Sunroof, Programable Door Openers, Automatic Climate Control, Remote Keyless Entry, Key Pad Outside the Door, Power Running Boards, Touch Screen Navigation, Back Up Camera, Tilt Steering, Cruise Control, Power Folding 3rd Row, and not a Spot or Stain inside this SUV. Outside the Vehicle the paint is Perfect, Factory Chrome Wheels, Nearly New Hercules Tires, Chrome Luggage Rack, and a 5.4L V8 Engine That Runs Fantastic. We have bank and credit union financing with LOW LOW RATES, so you're sure to drive this King Ranch Expediton home today. BEST OF ALL A FREE LIFETIME ENGINE, TRANSMISSION, AND DRIVE TRAIN WARRANTY FOR AS MANY MILES AS YOU CAN DRIVE IT!!! Call Randy at 205 269 3196, or Scott and Tucker at 205 265 3011. 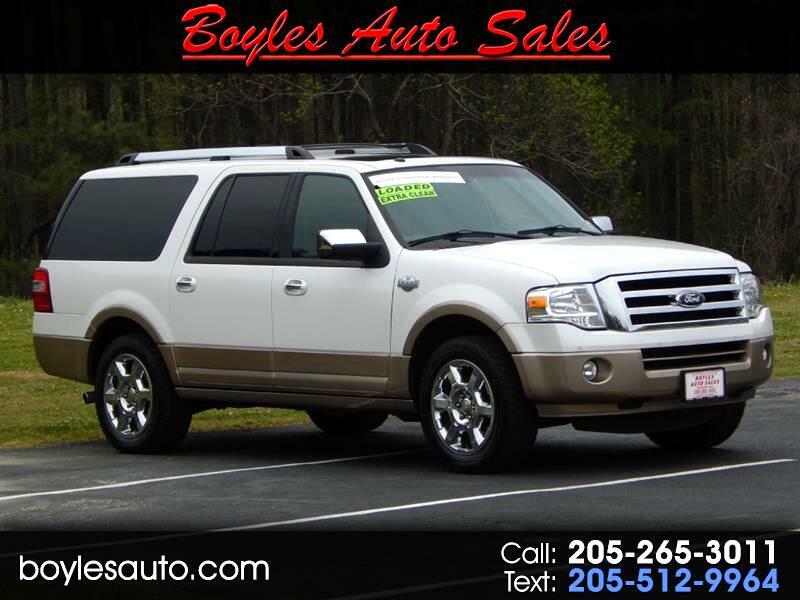 Visit us online at www.boylesatuo.com to see more like this one or to fill out a credit application for faster financing. Thanks for looking.